There is no doubt that 2012 was a difficult year for Russian-Azerbaijani relations, particularly when it came to security. For example, the $1.6 billion contract for Israeli arms sales to Azerbaijan (close to the country’s annual budget) caused a serious misunderstanding. Under the terms of the contract, the Azerbaijani army will soon be receiving unmanned aerial vehicles, antiaircraft missiles and missile defense systems. Wikileaks says that Azerbaijan’s close ties with Israel have given it access to a new level of arms for developing its army. This equipment cannot be obtained from the United States or Europe due to various legal restrictions, or from former Soviet suppliers in Belarus and Ukraine. Azerbaijan’s leaders had every right to enter into the contract. However, many military experts felt that Russia was only informed about the deal after it was concluded, even though Russia, as co-chair of the OSCE Minsk Group, has avoided supplying modern weapons to its ally, Armenia. The fact that its army uses Chinese arms supports that contention. The large purchase of Israeli arms is not only leading to an arms race in the South Caucasus, it encourages influential forces in Baku to try and resolve the Nagorno-Karabakh issue by force. But victory would not come easy despite Azerbaijan’s personnel superiority and its larger inventory of armored vehicles and aircraft. The result would most likely be a protracted conflict that would inevitably reach beyond Nagorno-Karabakh. 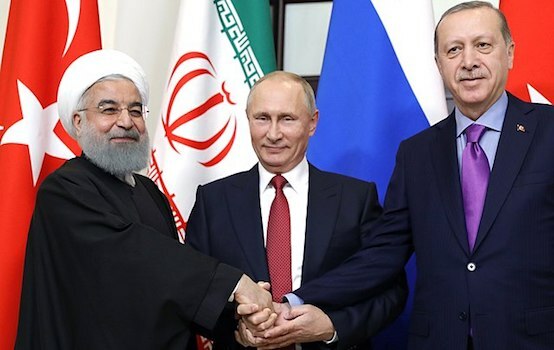 Russia, which is obligated to defend Armenian territory, would be drawn into the conflict, and Turkey, which has similar obligations to Azerbaijan, would find itself in a difficult position. Nor could Tehran avoid becoming involved in the conflict, especially if Georgia closes its border with Armenia. It is vital for Tehran that the Iranian transport corridor remain open. Therefore, an armed conflict over Nagorno-Karabakh would become regional in scope, something Baku tries to ignore. There is also a possibility that a worse scenario could develop — Azerbaijani involvement in a large scale military operation between the United States and Iran like the Iraq war (2003), with massive missile and aviation strikes and troops on Iranian soil. The objective is to destroy Iran’s economy, armed forces and government and, ultimately, topple its regime in order to irreversibly destroy its nuclear program and end its status as a significant power in the region. Russia’s reaction to this development, which would threaten security in the South Caucasus, would be severe. Its reaction would not be limited to convening an extraordinary meeting of the UN Security Council and holding bilateral and multilateral consultations. 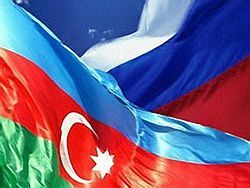 Russia would likely undertake political and military-technical steps that would make it extremely difficult for Azerbaijan to regain Nagorno-Karabakh by force if a total blockade is imposed on Armenia. That scenario would have the most serious consequences for the entire region. Moscow probably could not prevent it from happening. It could only mitigate the adverse consequences, including the refugee problem. Of course, large numbers of refugees are not inevitable. It did not happen during the difficult period of the 1980-1988 Iran-Iraq war despite Baghdad’s use of chemical weapons. However, the US military would find it necessary to destroy the country’s transportation infrastructure in its effort to weaken Iran’s resistance. That would result in shortages of food and other essential items and displace large numbers of people, primarily ethnic Azeris relocating to Armenia and Azerbaijan. However, their ultimate goal would be Russia, because those countries’ capabilities are limited. Currently, 9.5 million people live in Azerbaijan, and about 1 million work in the Russian Federation. As the tragic events of the first half of the 1990s when 700,000-800,000 refugees fled to Azerbaijan demonstrated, that would be critical for the country’s social infrastructure. We should remember that at least 25 million ethnic Azeris live in Iran. A large-scale conflict between the United States and Iran obviously would not happen overnight. It would have to be preceded by a brief period (2-5 days) of large-scale Israeli missile and aviation strikes on critical nuclear infrastructure nodes, as well as a number of military facilities that must be destroyed in order to effectively neutralize the nuclear targets. In this scenario, or independently of it, the United States could carry out missile and aviation strikes of gradually increasing intensity against a broad range of targets over several weeks or even months (similarly to the war in Yugoslavia). A coalition consisting of a limited number of countries could be formed to execute these actions. Prior to a large-scale operation, Russia could significantly boost its forces in both the North and the South Caucasus. That would primarily affect the military base in Gyumri (Armenia). Its geographic location requires that arms and materiel, fuel and lubricants, provisions, and much more needed for combat operations be built up in a timely manner before a total embargo on transportation lines. Depending on how the situation evolves, Russia could both build up its ground forces and deploy Iskander operational tactical missile systems in Armenia. Another problem that exacerbates the mutual misunderstanding involves the lease on the Gabala radar station. The cost of the lease on this military facility was suddenly increased from $7 to $300 million, i.e., by a factor of 42. That fee is obviously excessive. To see that, we need only compare the leasing fee for the Transit Center at the airport in Manas: $60 million, i.e., 5 times less than the amount Azerbaijan is demanding from Russia. These two facilities are simply not of comparable value. Russia’s leaders anticipated that things may play out like this. That is why construction of a second prefabricated Voronezh radar is underway near Armavir. It will operate in the meter wavelength range in same sector as the Gabala radar. The new radar will detect targets at a comparable range (about 5000 km) but will be capable of more accurately determining their position and trajectory parameters. Also, its operating costs are somewhat lower. Thus the misunderstanding between Moscow and Baku is growing, and it has already resulted in the closure of Russia’s only military facility in Azerbaijan — the Gabala radar station. That had almost no impact on Russia’s defensive capability, but it dealt a serious blow to relations with Azerbaijan in a sensitive area of military cooperation. 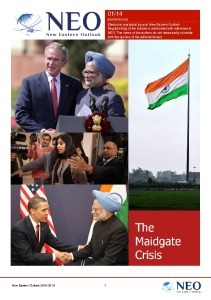 The consequences for our two countries have yet to be determined.